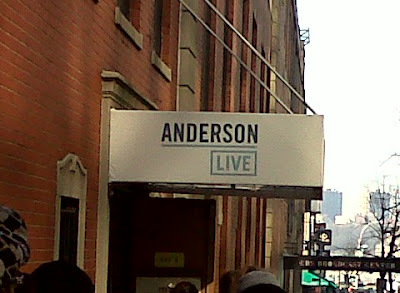 A full post on my super fun day in NYC is going to appear tomorrow. I promise. But I am just trying to play catch up and am still exhausted. So today, you get a teaser. 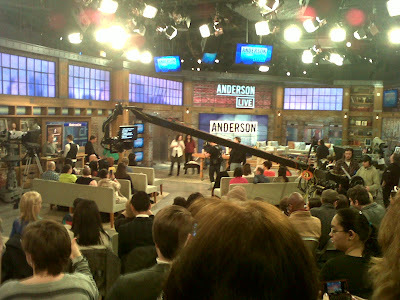 A shot of the full studio right before Anderson came out. 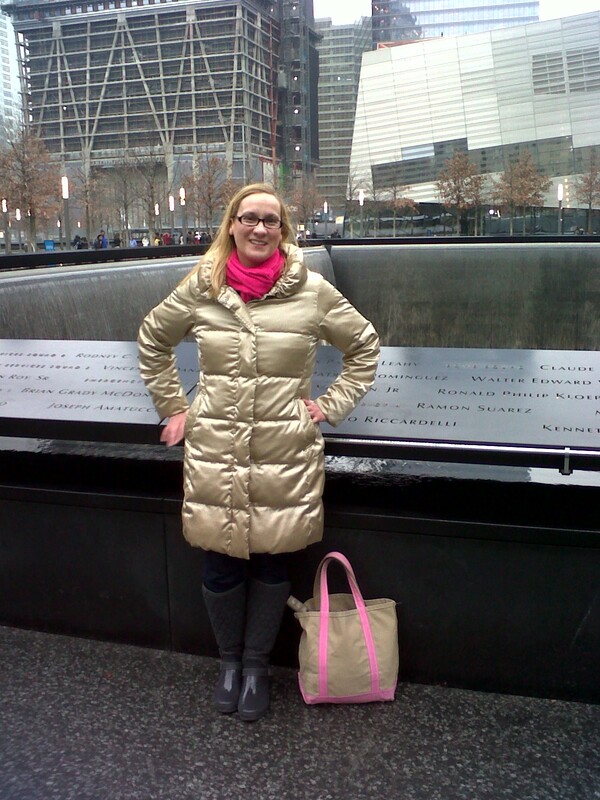 At the 911 Memorial. And a RARE photo of me on the blog. Wow! I love Anderson!! You look so cute. I LOVE your coat!!! You look adorable...LOVE your coat! PS - In case you think that comment was creepy, it's Amy from One Preppy Cookie. Just realized I am logged in as my husband. ;) Ha! So glad you made it!!!! BTW, your coat is so cute!!! I am glad you had a wonderful day with your dad.